It’s the holiday season, and we’re feeling festive at School on Wheels! Each year we try to make this season of giving bright for our students. 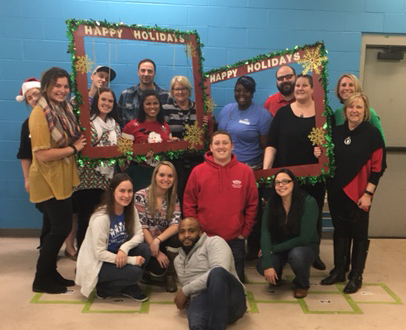 For the second year in a row, we were lucky to work with our friends at Royal United Mortgage to hold a holiday celebration for the families at Salvation Army Barton Center. 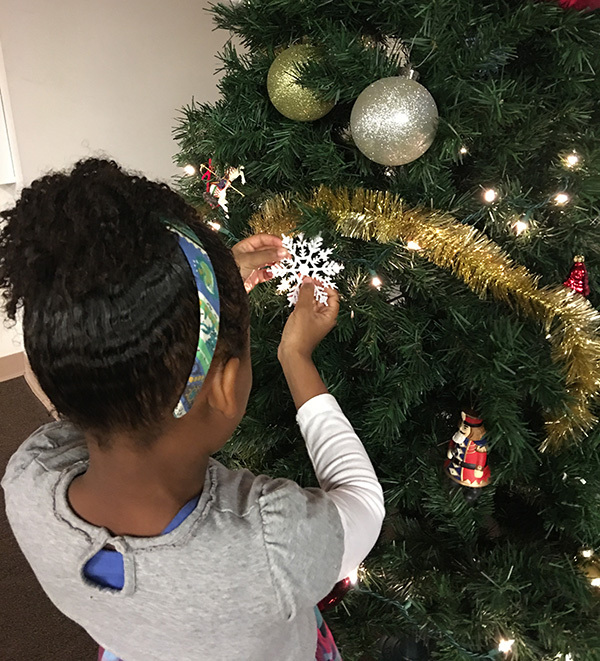 The families at Barton Center were treated to a night of food, gifts, family photos and activities, and most importantly, FUN and family time, thanks to our friends at Royal United Mortgage. Royal United Mortgage has been a long-time partner of School on Wheels. For the last two years, they have supported us with runners and volunteers during RUN(317), a 5K race where a portion of the proceeds from each entry benefited our programs. They have also hosted a Camp Breakfast to help Barton students prepare for Happy Hollow summer camp and purchased and filled backpacks full of supplies for our students at the beginning of the school year! The holiday party that Royal United Mortgage threw for our families is yet another example of the generosity of a fantastic local company and its staff! This year 15 of their staff members volunteered the evening of the holiday party. As the RUM volunteers started setting up the community room for the party, several children were running by, peeking in and asking if they could help set up. You could feel the excitement building as they ran upstairs to gather their families and other children. The Circle City BBQ dinner was a big hit with all of the kids and families. The generous RUM volunteers purchased so much food that there was plenty for older Barton residents to dine as well. Secret Santa, a new addition to the celebration, was a gift room where kids could select gifts to wrap for their parents. The children were so excited about being able to give their parents presents this year. They had a difficult time deciding on the perfect gift and they walked out of the “store” holding their wrapped gifts with huge smiles on their faces. RUM volunteers snapped 5×7 family photos for each family. The kids posed and smiled together as well. 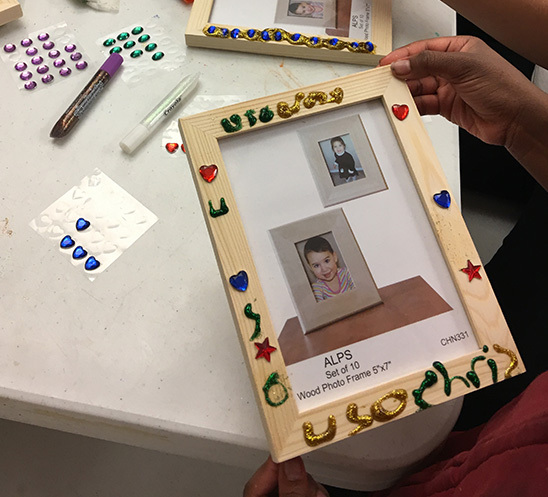 There was a frame craft station with glitter glue, stickers and beads for children to decorate frames for their pictures. The sugar cookie decorating (and eating) activity was a big hit. Children decorated star, bear, ornament, snowman and tree cookies with icing and a variety of sprinkles for their dessert. Each child was given a gift to open from under the tree and a bag full of gifts to open on Christmas. The children were in awe of their new toys, games and clothes. Miss Ieva begged them to promise that they would wait until the holidays to open their gifts. As many of the families filed upstairs for the night a group of older children and volunteers cleaned up after the party. It was really sweet to see the kids helping and remain so excited by the event that they were not ready to leave. 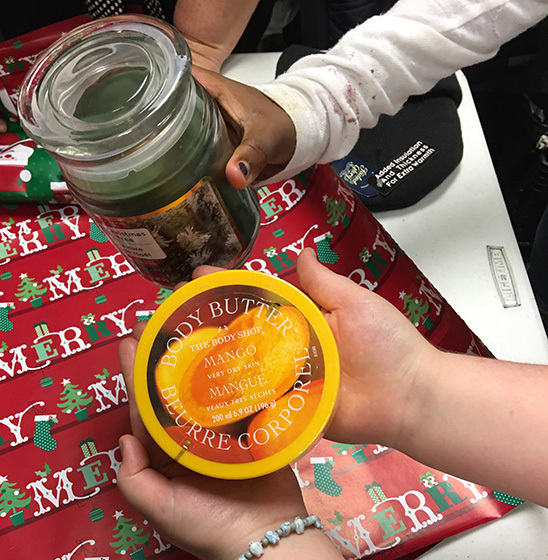 The holiday party at Salvation Army Barton Center was so much fun for the families in our program! 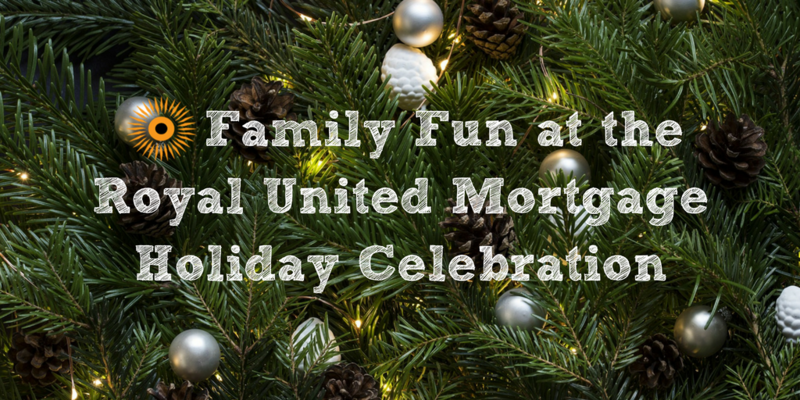 We are so grateful to Royal United Mortgage for throwing this fantastic party to help our families celebrate the holidays – and so are our students! 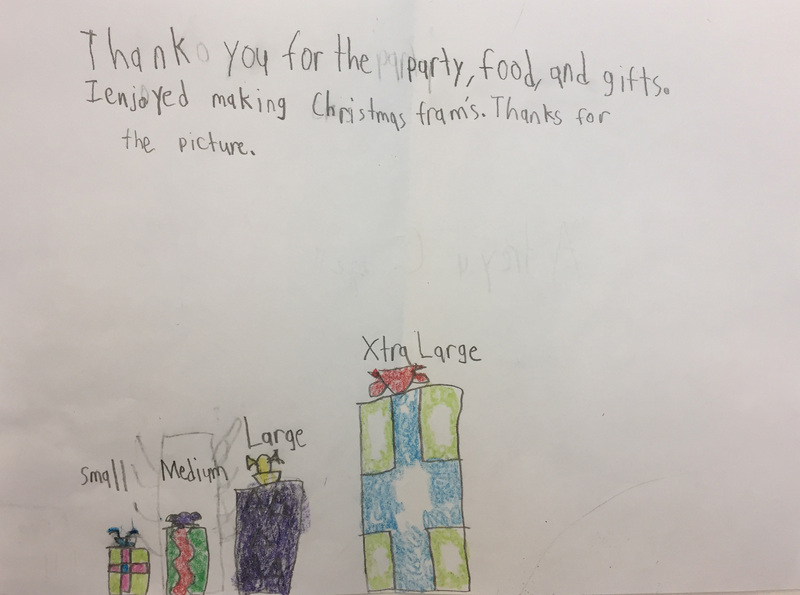 They were so thankful that they wrote some super adorable thank you notes to the Royal United Mortgage volunteers, including this one below. Want to join Royal United Mortgage in helping kids? Make a donation to our end-of-year campaign or purchase an item off of our Amazon wishlist!